What in the world is River City Girls? We don't know, but WayForward is working on it! The game was rated by the Aussie Classification Board, which always shows games as multiplatform, even if they're not. WayForward's track record with Nintendo platforms is extremely good, so hopefully whatever this is, it'll come the Switch's way. That's right, damnit. Great Musical Moments is back! Today we take a look at a moment from Shantae and the Pirate's Curse that gives a nod to longtime fans. 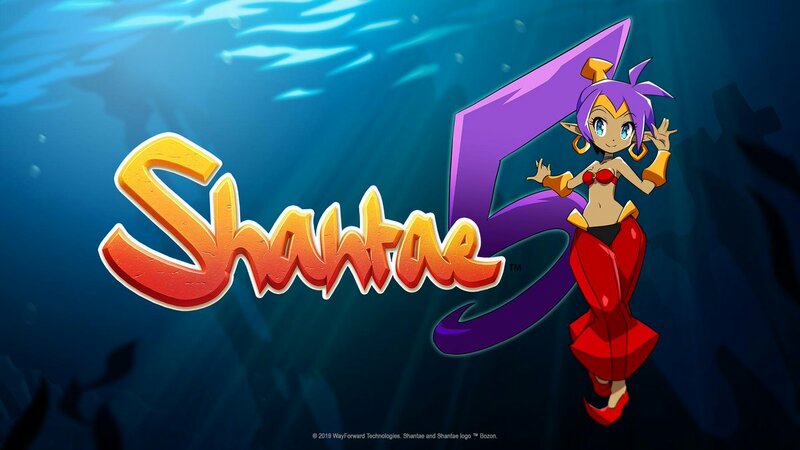 WayForward has confirmed a new Shantae title! Shantae 5 is in development for the Switch right now, and WayForward says it'll release later this year. The announcement came from Apple's Apple TV+ announcement earlier today, and their games trailer featured the tiniest snippet of gameplay. We can't even be sure it's from Shantae 5 at this point! That's honestly all the info we have for right now, but that's all I need to get excited! Shantae and the Pirate's Curse on physical cartridge for the Nintendo Switch. Region free. This is an open pre-order for a limited time! Features beautiful interior art and a full-color manual. This game will not be carried at Best Buy. The Shantae series laid dormant for so many years, and then met with an explosion of new games and fans. I couldn't be more happy to see that happen. It all paved the way for great content like the package above! 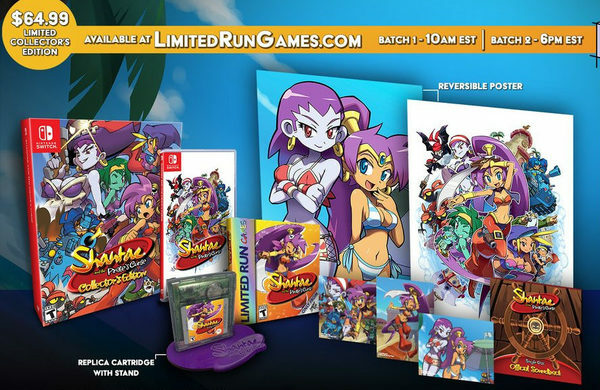 I missed out on getting a retail copy of the original Shantae on GBC because I was a STUPID, STUPID KID...but that's a different story altogether. At least some people will be able to relive those glory days with a throwback GBC box from the gang at Limited Run Games. Hell, this is worth another purchase of Shantae and the Pirate's Curse alone! Now here's a fan that's truly dedicated to Shantae! Patrick Braga is obviously a huge fan of Shantae, so much so that he gave his entire Switch a Shantae makeover! Just looking at this design is making me super jealous! Chrissy Teigen, time and time again, has shown herself to be a big fan of the Switch. Now she's been introduced to everyone's favorite game genie, Shantae! Hopefully Chrissy keeps the Shantae tweets coming. I'd love to see what she thinks when she wraps the game up! Hear the original without popping in a new set of AA batteries. This official soundtrack, remastered specifically for vinyl, includes 41 tracks from Jake Kaufman's classic soundtrack on one vibrant red LP. The gatefold packaging features original art by Nina Matsumoto. Buy the vinyl and you'll also get an instant digital download of the complete soundtrack in MP3 320kbps, WAV, or FLAC. You people have excellent taste. 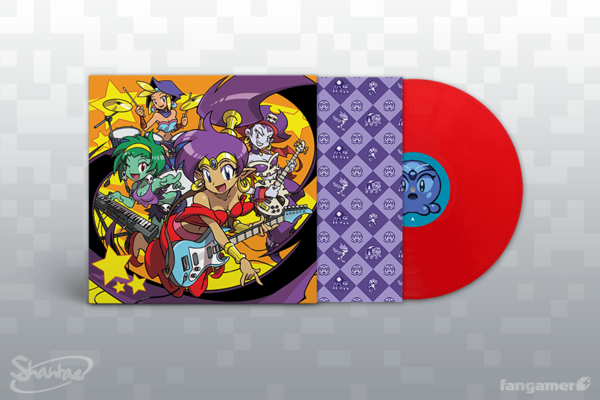 Limited Run Games opened their preorders for the Shantae and the Pirate’s Curse Collector’s Edition earlier today, and it's been a huge success. All 2,900 units sold out in just over 2 minutes! We have no idea if there will be a restock, but considering the success this set has seen, you can bet Limited Run would like to do another...limited run.